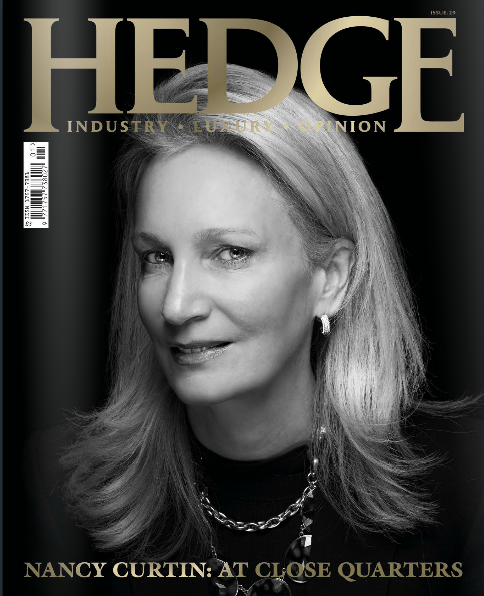 Hedge Magazine, April 2014. Original article, p30-34. “I’m a bruised and battered investor. But life’s all about learning lessons, so I think it’s made me a better investor.” By the time Rory Powe says this I’m halfway out the door, meaning we are off the record. Nice guy that he is, Powe allows the quote anyway, even though he knows it could be taken the wrong way. Because Powe doesn’t want to dwell on the past, is the thing, but to look forward. But even so, Powe is the first to admit that the lessons of the past have played a significant part in shaping the investor he is today. Because what Powe wants most of all these days is to “observe the beauty of compounding”. We’re in PCM’s office on the second floor of a Kensington townhouse, where freshly painted walls are decorated with art Powe has brought in from home. It’s just an eclectic mix of things he happens to like, Powe is quick to point out, nothing fancy. Dressed in a checked shirt with formal cufflinks but two buttons undone, there is a friendly sincerity about Powe. He is thoughtful as he describes his fund, its strategy, and its holdings, clearly passionate about the work. There’s a weight to the things he says, hinting at the kind of confidence that comes only from hard-learned experience. Half the fund is invested in companies which Powe considers to have “formidable” market positions, pricing power, and competitive powers which will be sustainable for years to come. 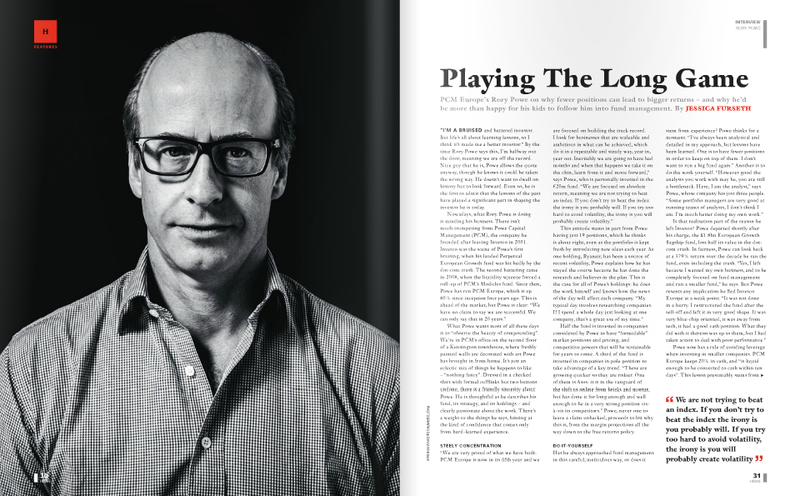 30% of the fund is invested in companies in pole position to take advantage of a key trend. “These are growing quicker so they are riskier. One of them is Asos: they are in the vanguard of the shift to online from bricks and mortar, but have done it for long enough and well enough to be in a very strong position vis a vis their competitors.” Powe, never one to leave a claim unbacked, proceeds to list why this is, from the margin projections and all the way down to the free returns policy. Now, Powe has a rule of avoiding leverage when investing in smaller companies. PCM Europe keeps 20% in cash, and “is liquid enough to be converted to cash within ten days”. This lesson presumably stems from the Modulus Europe fund, which Powe had to liquidate just as the recession started. “The problem I had in 2008 was that the majority of my investors wanted their money back around the same time. That was quite a shock, but it was a reflection of what was going on, which was a flight to cash,” says Powe. “It was very clear to investors we were taking a liquidity risk, as we had a disclosed stake in a number of companies.” The decision was made to liquidate the fund: “Albeit stressful for our investors and for us at the time, it was the right decision.” But, adds Powe, let the record show: the Modulus fund provided a 57% return to over its lifetime. Posted on 02/27/2014 by Jess. This entry was posted in Investment and the market and tagged hedge fund, hedge magazine, powe capital management, rory powe. Bookmark the permalink.